This new M/I Homes project is in the easternmost side of Bradenton which was annexed into the city after a change in its Comprehensive Plan. Notably, Amberly’s area has been rezoned twice after nine public hearings wherein no resident voted in opposition. Amberly’s market entry appears a well-timed move as local real estate statistics indicate a low inventory for multifamily residences. In Manatee County, data from local realtors show that months’ inventory of townhouses and condos from January to April this year has declined 2 percent to 4.8 months, while active listings has dropped 4.3 percent in that same four-month period. A similar trend during the first four months of 2018 was likewise observed in Sarasota County, where the months’ stock of multifamily homes declined 11.9 percent to 5.2 months and active listings slipped 5.3 percent. With site preparation now underway, the Amberly home models are expected to be unveiled either late fall or early winter this year. The layouts of these villas are planned at between 1,400 square feet to 1,600 square feet and feature two-car garages. The price quotes for these residences are projected to range from the mid-$200s up to the mid-$300s. Existing residences at approximately the same price points are available at River Sound, also located off Morgan Johnson Road and a short distance south of Amberly. Already built-out, River Sound was developed under the banner Neal Communities which began work on it in 2009. 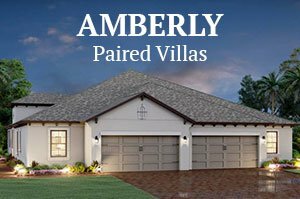 The communities near Amberly also include River Isles to its west, which is a 1970s development for age 55-plus residents. Another neighbor of the new M/I Homes development is the Braden River Lakes, featuring houses built during the 1990s. Aside from Amberly, M/I Homes is likewise set to launch in the third quarter of this year its Rivo Lakes neighborhood in Sarasota. 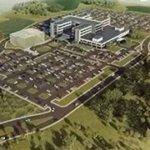 This project is located on a 67-acre parcel off Ibis Street east of Interstate 75 and less than a mile south of Clark Road. Rivo Lakes too is planned as a gated community with a central lake, multiple areas for open spaces, and conservation landscape buffers with walking paths on the property’s perimeter. This community is planned for 107 single-family homes on 80-foot lots. M/I Homes is fielding at Rivo Lakes its Showcase home series with Tuscan-inspired elevations. Noted for their high quality features and finishes, these designs come in floor areas ranging from 2,291 to 5,000 square feet. The pricing quoted for these residences is in the $400s‒$700s range. In addition to Rivo Lakes, M/I Homes is also building at the Hidden Creek community off Fruitville Road in Sarasota. 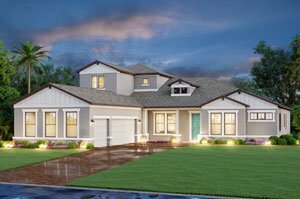 In Manatee, its homebuilding footprint extends to The Concession, Creekwood Town Homes, and Brookside Estates. M/I also has builds at Twin Rivers in Parrish and at Bougainvillea Place in Ellenton.